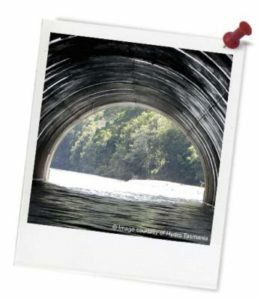 Quick summary: Students engage in a whole-class exercise/game that explores the topic of water, then use a stimulus text to create an exercise exploring the topic of water. In ensuing lessons, the class can participate in some of the exercises that are devised. Students engage in whole-class exercises and activities. Students respond to a stimulus text to devise a practical exercise. Students engage in group collaboration. Students reflect on their own and others’ participation in logbook entries. Cross-curriculum priority: Sustainability OI.1, OI.8. Use voice, body, movement and language to sustain role and relationships and create dramatic action with a sense of time and place (ACADRM032). Shape and perform dramatic action using narrative structures and tension in devised and scripted drama, including exploration of Aboriginal and Torres Strait Islander drama (ACADRM033). Level of teacher scaffolding: High – oversee sample game, assist students with creating and testing games, facilitate discussion. Resources required: Sample Game Worksheet (the Animal Race Cards should be cut up and placed in a hat/bag). Student Worksheet (one copy per student OR computers/tablets to access the online worksheet). 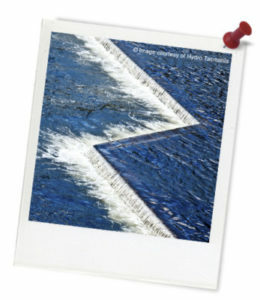 Keywords: Water, hydropower, game, Hydro Tasmania. Overarching learning goal: In this activity students are asked to engage in whole-class exercises and activities, respond to a stimulus text by devising a practical exercise, and engage in group collaboration. Finally, students reflect on their own and others’ participation in this activity. Thought starter: What can we do to stay safe when playing around water? Now that you have played a game with the class, get into a group of 3, 4 or 5 and create an original group game. Your game must be related to the topic of water, with a focus on one or more of the ideas mentioned in the stimulus text below. Read it as a class. Hydro Tasmania provides electrical energy for the people of Tasmania, Australia’s island state. The word ‘hydro’ means ‘water’. Hydro Tasmania has thirty hydropower stations in Tasmania and a wind farm on an island in Bass Strait. Hydro Tasmania operates two wind farms on mainland Tasmania under a joint venture. Hydro Tasmania catches the electrical energy from these sources and sends it to places where it is needed, to power people’s homes and businesses. The information below focuses on water. Read the text below, which has been taken in part from Hydro Tasmania’s website.